Brimful Curiosities: Sick, sick. 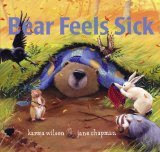 A book to make us feel better! Oooh, We love the bear books too!